A children's book editor wanders & ponders. I've gotten a lot of questions in the past few days, so am doing my best to briefly address them here. Obviously, it's been a time of busy transition and my priority has been helping to make the smoothest possible transition for my authors and their books, so if I was unable to respond personally to an email, tweet, post, or message, my apologies! 1. I know you're leaving HarperCollins, but where are you going again? To Storybird, a visual storytelling platform. There's more info about the change here, on the Storybird blog. 2. When is your last day? And when do you start at Storybird, and where will you be based? My last day is today (Friday, July 19th)! I start at Storybird in early August, and will be based in Brooklyn. 3. So if I send you an email today, will you still get it? Nope. My old HarperCollins email is shut down. (It's the end of an era!) If you're someone I accidentally omitted giving my new contact information to, my apologies! Please send me a private message via Facebook or Twitter, or leave a message in the comments here, and I'll follow up with you. 4. But wait! I sent my manuscript to you after an SCBWI Conference, and you haven't responded. What happens now? My excellent colleague, Editorial Assistant Alex Arnold, has generously agreed to read and respond to the conference submissions that I've left behind. It's going to take her awhile to catch up, though, so please extend your patience to her--as with any editor, submissions-reading is secondary to her daily responsibilities and the existing projects under her care. And, hey: similar hand-offs have been known to lead to very happy literary success before! Please also note that this is NOT an invitation to submit directly to Alex (like all editors at HarperCollins, she is closed to unsolicited submissions); she will only be reading and responding to the pile of submissions I handed over, not any future submissions. If you were meaning to submit but hadn't done so yet, I'm sorry--the offer has necessarily expired, now that I've left the company. 5. Speaking of SCBWI, will you still be at SCBWI-LA in August? Alas, no. I'll be starting my new job instead. But my super-fun and brilliant colleague, Executive Editor Claudia Gabel, will be stepping in for me, and she's already got a more exciting talk planned than I did, so you're in great hands! 6. I'm an agent who had a submission out with you--what now? I'm sorry if I didn't touch base with you before leaving. Any submissions that were with me can be resubmitted to a different HarperCollins editor, whomever you think might be the best fit. I did not hand-off any agented submissions to colleagues, as I presume that agents want to make their submissions decisions themselves. 7. Where are the submissions guidelines for Storybird? How can my agent and/or I send you a manuscript for consideration at your new job? Storybird works on an entirely different model than HarperCollins or any of the existing traditional publishing houses. I won't be acquiring projects in the way I've done previously, so there aren't submission guidelines to be had. 8. So, I've looked at the Storybird site and it's cool, but I don't really understand what you'll be doing there. That's probably because I'm not there yet, plus I'm the first person ever to hold this role at Storybird. As an editor of books, my job was to look at the existing story and see ways that it could be strengthened--but often even more important, was looking at the existing story to see what things weren't there yet, but maybe could or should be. That's part of why I'm going to Storybird--to help a really cool company continue to grow in all the ways it's already exciting, but also to help envision new developments and possibilities, and bring them into actuality. In other words, keep watching Storybird--there's much more to come! 9. Will you continue blogging? Well, some. As you have surely noticed, I'm not the type who blogs on a constant/regular schedule. But I imagine I'll keep it up in some form. And in the meanwhile, you can always find me on Twitter, where I'm much more present. 10. This is a big change. How are you feeling? Excessively grateful for the career I've had to-date, and the amazing relationships I have as a result. Understandably sad that I can't clone myself and continue working with my great colleagues and authors/illustrators at HarperCollins AND take this new opportunity. Intensely curious and excited to see what's ahead. See you on the other side of this jump! I have some news. You probably didn’t see it coming. I didn’t either, exactly. But I perhaps should have, because, as my author Kathryn Fitzmaurice taught me with her oh-so-wonderful middle grade novels, The Year the Swallows Came Early and Destiny, Rewritten, if we stay open and “expect the unexpected,” it allows us to embrace chance encounters that can lead us to, “something wonderful and different that [we] might not have thought of”—in short, toward thrilling new versions of ourselves. To be honest, I’m not a huge fan of change, but I am slowly learning that with the right attitude and the right decisions, transitions can feel a bit like this: one of Sarah Jane Wright’s perfect illustrations for A Christmas Goodnight—full of a gloriously expectant hopefulness on the horizon. And speaking of horizons and possibilities—when I asked a long-time friend what he thought about the new possibility that had appeared on my horizon, he listened patiently to my lengthy pro/con list and then said simply, “It depends. 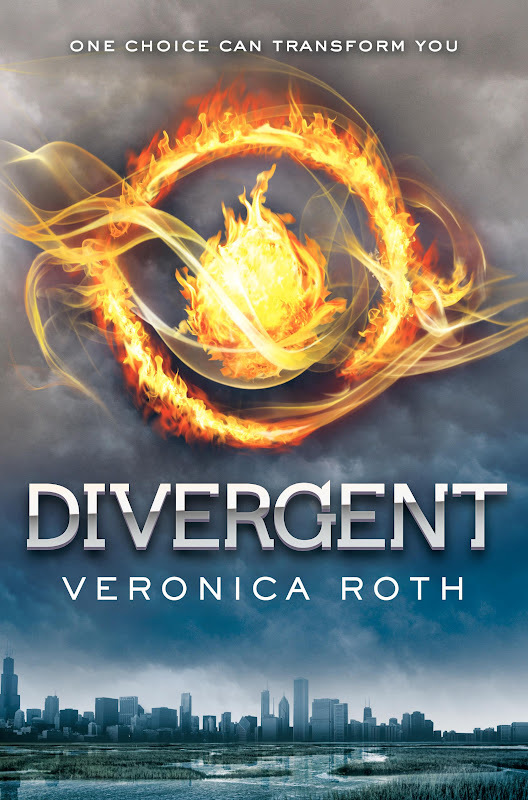 How willing are you to take a risk?” And right there and then, I pretty much knew what my choice would be, because Divergent and Tris and the remarkable Veronica Roth taught me that sometimes we simply have to “be brave” and jump, even if that means changing everything. Especially if that means changing everything. “Strange but true,” (that’s the favorite observation/declaration of the protagonist of Molly B. Burnham’s hilarious and heart-warming illustrated middle grade debut (due out in 2015), Teddy Mars: Almost a World Record Breaker), you’re probably sensing a common theme to this blog post. So what’s the big change? It’s that I’m leaving HarperCollins, after an incredible seven and a half years. I’m taking a side-step into a slightly different realm and heading over to Storybird, a visual storytelling platform, where I’ll be their Head of Editorial, focusing on creative strategy and product/program development. It’s a chance to use many of the skill sets that I’ve cultivated over the past decade in publishing, while also learning to think in exciting new ways about how technology, stories, and culture can intersect. And I’ll be working with an amazing and innovative team, which makes leaving my great HarperCollins colleagues a little less painful. In Hilary T. Smith’s utterly gorgeous Wild Awake, the main character concludes that, “The universe, I realize, is full of little torches. Sometimes, for some reason, it’s your turn to carry one out of the fire—because the world needs it.” In a way, I hope that’s what I’ll be doing as I make this transition: carrying a torch from the world of publishing that I’ve known and loved into a new venture that’s full of excitement and possibility. Along the way, I’ll hopefully be uncovering new paths for story-makers and story-lovers and stories to connect and find each other. Because I am convinced that stories are one of the things we need most, as human beings in this world. As Bobbie Pyron wrote in her pitch-perfect, southern-tinged “new classic,” A Dog’s Way Home, “Most folks got a north star in their life—something that gives their life extra meaning.” I think for a lot of us who share this corner of the internet, one of our north stars is stories—because of the way they allow us to express ourselves and understand others, because of the way they connect people, because of the way they help us learn to live. To all of you who have entrusted your words and art and stories to me, at conferences and via literary agents and even just through the simple tales we tell each other every day via Facebook and Twitter . . . thank you. To those of you (teachers, librarians, booksellers, parents, book bloggers, publishing industry pals, friends in the media, and fellow book-lovers of all sorts) who have worked to connect my authors/illustrators and their books to Real! Live! Readers!—I am intensely, endlessly grateful. And most of all, to the many authors and illustrators that I’ve worked with while at Harper, most especially those mentioned above—thank you for all you have taught me, and the ways you’ve inspired me as we’ve worked together. I will always consider myself lucky to have been one of the earliest fans of your books, and to have had the incredible privilege of watching your stories transform and take shape and then courageously go out into the world to find their readers. And to everyone reading this: I hope you’ll all keep an eye on things over at Storybird. It’s going to be a thrill, and a lot of fun, and I’d love for you to come and be a part of it. (I don't blog much about my authors' books while they're in-progress toward publication. In part, this is out of respect for the writing/editing/revising/ publication process: a lot can change for a story as we work on it. It's also out of respect for readers—because I think it's mean to taunt you with tales of fantastic books you can't yet buy! Thus this series of publication-day "Editorial Love Story" posts was born: to celebrate the fact that, at long last, an author's book is out on shelves, and to offer a glimpse of each book's unique "making-of" story. I hope you'll enjoy and be inspired by this post, and that you'll soon have a chance to read this great book, or share it with a reader who might enjoy it! Shelley's books are masterful feats of imagination--and as an editor and as a reader alike, I am in awe of the way she so casually carries around entire galaxies in her mind! The INSIGNIA series is spot-on in its characterizations; phenomenally creative in its plotting and world-building, and startlingly vivid and alarming in its insights of how the near-future could unfold. INSIGNIA and VORTEX (and the prequel novella, ALLIES) are also some of the most genuinely humorous YA books in the market today, I think. Her characters are intensely real: full of the awkward mishaps, bumbling idiocies, and gleeful pranks of early teen life, but also acutely sensitive; occasionally flawed; deeply concerned with justice; and truly devoted to one another. In short, Tom and his comrades Vik, Wyatt, and Medusa, are characters that are so alive that I want nothing more than to be friends with them. For the last year, as Shelley and I worked on the manuscript that would become VORTEX, Tom & Co have made me repeatedly laugh to the point of snorting/choking in coffee shops and on airplanes and at my desk and on the subway, much to the confusion and consternation of strangers sitting beside me. Each time a new chunk of the story, or a revision, would pop into my inbox, I'd find myself grinning with delight. You know that feeling, when you're a kid and it's the first day back at school after a long summer and you get the first glimpses of everyone you haven't seen in weeks and months? VORTEX is a little like that. It makes me bubble over with excitement and glee and the thrilling sensation of "Hey, look, it's all my friends! We finally get to hang out together again and I don't know what exactly what we'll be doing, or what all's going to happen, but I just know it is going to be SO MUCH FUN!" That Shelley can offer readers so much fun while also giving them profound geopolitical commentary and incredible plot twists and meaningful emotional development is just further proof that she's written a second novel that's deserving of rich praise and "favorite book" status. So how can you help celebrate the publication of VORTEX? You can order a copy, for yourself or a sci-fi lover or gamer in your life (note: guys and girls both love this series), or request a copy at your local library. You can follow the author on Twitter (and wish her a happy book birthday!) or check out her website, or follow the series on Facebook. 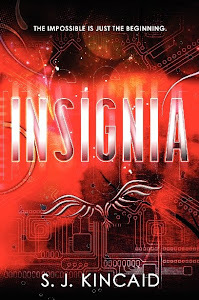 If you've read and enjoyed INSIGNIA, you can help spread the word to fellow readers by getting a copy into their hands (note: INSIGNIA is newly-available in paperback) or by sending them the link to the Browse Inside sample. You can download a copy of ALLIES, the prequel novella to the series if you haven't already done so. And this week, you can join other book lovers in the Epic Reads Re-Readathon of INSIGNIA http://www.pitchdark.com/blog/join-the-insignia-re-read-a-thon/ in preparation for VORTEX--a great way not only to celebrate a fabulous book series but also to meet other avid readers--who knows, perhaps a friendship as great as Tom-Vik-Yuri-and-Wyatt's could emerge! 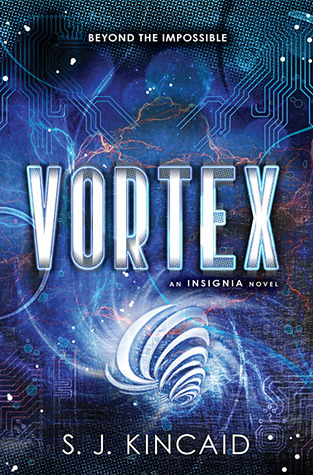 Happy book birthday to VORTEX, Shelley! Thank you for the "impossibly" wonderful INSIGNIA and VORTEX and ALLIES--the world of books is much richer for your stories and characters, and I feel so privileged to be a part of the process that brings them into the world! 1. You will remember to water the azaleas. 2. You will take detailed, accurate messages. 3. You will call your older brother, Denny, if even the slightest thing goes wrong. 4. You and your best friend/bandmate Lukas will win Battle of the Bands. 5. Amid the thrill of victory, Lukas will finally realize you are the girl of his dreams. This editorial love story post--and it’s a long one!--is about connections. One of the most amazing parts of being an editor (and I suspect it’s much the same as a writer or artist of any sort) is that the ideas and experiences that intrigue/fascinate/perplex you inevitably find their way into the art that you help shepherd into the world. Which is kind of the point of my job, really: it’s when a book connects with you as an editor that you, in turn, ask yourself if you can see it doing so on a larger scale, for thousands of other readers, too. If the connections the story has captured are vivid and new enough that they’ll seem as magnificent to the whole reading world as they did to you. It’s 1997, the start of my sophomore year of college. After a year of living with a horrid assigned roommate (seriously, the only thing we had in common was that we had the same first name), I’m finally living with a friend, in a dorm room in a cool building near all our other friends. We’re no longer clueless freshman. It’s going to be great. And it is, at first. But partway through the year, something unexpected happens. Almost overnight, my roommate unravels in front of my eyes. At first I just think she’s being annoying; that she’s being weird; that maybe she’s been drinking too much or is enamored with some odd guy or is trying on new personalities the way you kind-of do in college, and that’s why she’s acting strangely. But then it intensifies. She doesn’t sleep. She hallucinates. She talks about meeting people I know she’s never met, but she believes these encounters like they are real. When I leave our dorm room for class, I come back to increasingly bizarre scenarios. My friends and family recount confusing stories, outright crazy lies they’ve heard from her when she’s answered our phone. She’s losing weight, rapidly. My R.A. is no help, so finally a friend and I call her parents. They swoop in, take her home for a weekend, and return her to a few days later, announcing that she just needed more rest, and a good family dinner. They suggest that maybe we’re not a good match as roommates and she’ll move into a single room next semester. My roommate’s only been back for a week when her off-kilter behavior turns downright scary. This time my R.A. listens, sees the signs. We call her parents together. They swoop in again, this time taking her and all of her things home in one afternoon. This time, she doesn’t come back. Months later, she starts calling: medicated, painful phone calls. She’s been diagnosed. She’s trying to piece together what happened in that crazy month because she doesn’t remember any of it. I remember it all too well, but am afraid to tell her. The phone calls are hard for us both, and slowly, we drift out of touch altogether. But the experience isn’t one I can shake. I tell my family and friends that if I weren’t so sure of being an English major, I’d probably want to become a Psych major, to study mental illness, instead. Because I don’t understand what happened, but I want to. I want to know how it could be that what was true inside her head was so different than the reality around her. I want to comprehend what it felt like for her. I want to understand the inexplicable. Fast-forward. It’s 2009. I’m an junior editor at HarperCollins, and it’s the era of anonymous blogs. A new one has popped up: INTERN SPILLS. It’s the blog of an anonymous intern in publishing, and everyone’s reading and chattering about it—authors and publishing folk alike. No one can figure out who it is, or where she works, which intrigues us all the more. This blog defies the standard style of anonymous blogs, though—there’s snark, but there’s more to it than just that. There’s real wit and smarts and heart, between the snarky observations and the salacious insider-y tidbits about working in publishing. There’s a voice. And it’s a hell of a voice. And it gets stronger with every post. It’s 2010. INTERN has started talking on her blog, occasionally, about her own writing efforts. INTERN has also begun talking on her blog, occasionally, about reading more YA books. All the while sustaining a voice that’s clearly put-on: an exaggeration of the author’s own voice, perhaps, or maybe an altogether made-up one, but it’s exceedingly controlled and well-sustained regardless. I’m still a young editor, but already I’ve been trained by my editor-bosses to pounce, when your instinct tells you to do so. Cautiously, and without promising anything at all on behalf of your company, but to pounce all the same. So I shoot an email off into the ether, introducing myself to this INTERN persona, asking if, maybe, perhaps, INTERN is writing YA? Hinting that, if so, I’d maybe, perhaps, love to see it. INTERN responds. She doesn’t give a clue to her identity, but acknowledges that she’s trying her hand at writing YA. She’s still polishing, she says. It may be a little while. It’s okay, I say. I’m happy to wait. Editors are good at being patient, once they’ve found a voice worth waiting for. It’s 2011. INTERN and I have kept up an occasional, still-half-anonymous correspondence. I try hard to keep myself from asking in each email about the book, about its progress. I am learning that books come ripe when they’re ready, and never before. And sure enough, before the year ends, there’s a manuscript in my in-box. It’s from an agent, one who has taken on a new client. She has a name, the agent explains, but she’s perhaps better known as INTERN. And this manuscript. This manuscript. It is raw, still. Still on its way to becoming a wholly book-shaped thing. Right now it’s all specificity and not quite enough universality. But there are lines in it that give me chills ("When she died, it was like my house burned down.") I don’t know it yet, but these lines are going to haunt me for two more years, until others finally read them too. And perhaps well beyond that point, perhaps forever, the way the best lines in the best books do. And that voice. It’s a thousand times more powerful as a narrative tool than it ever was on a blog (and it was pretty darn effective back then). This author has an ability to craft a stunning metaphor that combines the two unlikeliest of things, drawing connections I’d never imagined, making me see things anew. And the story—it shakes things up inside me, in a way that scares me and stirs me all at once. It’s the story of a girl, caught off-guard by a spiral of mania and mental illness. It puts words to the things I thought were inexplicable. It helps me understand things I have wanted to understand for almost 15 years now, and I know if it does that for me, it can do that for other readers, too. It terrifies me, and it challenges me, and most of all, it connects, deeply. But this manuscript is also bigger than just being a book about a single thing. It is a book about everything. About love. About loss. About grief. About family. About change. It makes me laugh and cry and see hope-squirrels and love-bisons everywhere I look, even though I didn't know that such things existed until I read this story. It makes me feel things, deeply, which is probably the greatest compliment I can give to a book, whether it’s one I’ve experienced as a reader or an editor or both. And so I pounce again. I buy INTERN’s book. This one, and her next one, too. We work, together, until her story has transformed into one I wish I could time-travel and give to my nineteen-year-old self, sitting in a half-empty dorm room. Because it gives words to the things that I had no words for back then. But it also gives words to something more important—the simple experience of being human. Which, I think, is the pinnacle of what a book—any book—can do. INTERN has a name now. It’s Hilary T. Smith. Her book has a name, too. It’s Wild Awake, and it comes out today. It is powerful, it is profound, it is startlingly funny, and though it is fiction, it is also deeply personal. It has brilliant passages and lines full of truth: stark and gorgeous and chaotic and painful and real. It is a book about connections: about finding them, about releasing them, about recognizing them for what they mean at every point in your life. I hope you will read it. I hope you will read every book that Hilary T. Smith ever writes. Because that voice. It is magnificent, and it is only just the beginning. 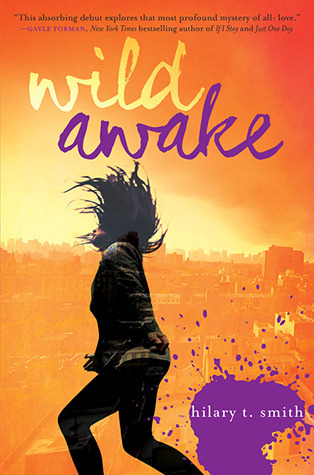 Friends: Want to help Hilary celebrate her the debut of WILD AWAKE, her first novel? Buy a copy for yourself or a teen reader you know (especially the ones who are craving contemporary realistic reads, or stand-alones instead of trilogies, or love interests of an entirely different sort than the hott-boy-with-abs-and-blue-eyes-sort); or for an adult you know who likes remembering what it felt like to be a teen; or especially for a teen trying to make sense of mental illness. You can get it from your favorite bookseller, or check it out at your library. Also, follow Hilary on Twitter, or read her blog, or peruse her delightful Tumblr and send her a photo of yourself with WILD AWAKE. And if you're reading this on 5/28, join in a WILD AWAKE-themed rap battle at 7pm Central Time (details here), and check out the plan for a week of WILD AWAKE celebrations here. Happy publication day, Hilary and WILD AWAKE! May your book find countless readers and make powerful connections for them, and may it live for a long, long, time. Des·tin·y: destinē/ (noun) The hidden power believed to control what will happen in the future; fate. In her third novel, Kathryn Fitzmaurice again weaves a richly textured and delightful story about unexpected connections, about the ways that friends can help us see ourselves for who we truly are, and about the most perfect kinds of happy endings: those that happen just on time. That charming cover alone should sweep you into the story, but if you're the sort of person who's more interested in the words inside of a book than its cover, then I'll start by saying this: in many ways, Kathryn Fitzmaurice is my touchstone for wonderful middle grade writing. Perhaps this is, in part, because Kathryn's first book (The Year the Swallows Came Early) was also the very first manuscript I fell in love with as a newly-minted assistant editor. Back then, I'd just moved over to the editorial side of the business after five years of working on the Marketing/Publicity side of the industry. I'd been working for my new boss, the ever-brilliant Brenda Bowen, for only a few weeks, when I took a long weekend to visit my older brother's family. On my way out the door, Brenda said to me, "You know, I'm reading a manuscript that I think might be something special, but let me get a little further to be sure. Check your email later this weekend and if I think you should read it, too, I'll send it to you for the flight home." So I dutifully checked my email from my brother's work computer later at the end of the weekend and sure enough, there was an email from Brenda with Kathryn's manuscript attached, saying that I should get to reading. Now, Dear Reader, this was in the archaic days before e-readers, when reading a manuscript meant carrying around actual printed pages. So I have a very vivid memory of printing out that manuscript on brother's utterly ancient, practically dot-matrix work printer, page by slooooow page. ("This is probably going to be a book," I bragged to my brother, a staunch environmentalist. "With all that paper? It better be," he replied.) And once I picked it up and started reading? I fell into the story, head-first, and realized there was really no "probably" about its being a book, because it was already close-to-perfect. By the time I stepped off the plane back in NYC, I knew what it like to have editorial goosebumps—that tingle that sweeps over you and runs all the way up your arms and turns into a stupid grin, because you've discovered that you are reading something wonderful that almost no one else in the world knows about yet, and that you might be one of the lucky ones who gets to help the whole world find it. And that, my friends, is an incredible feeling. 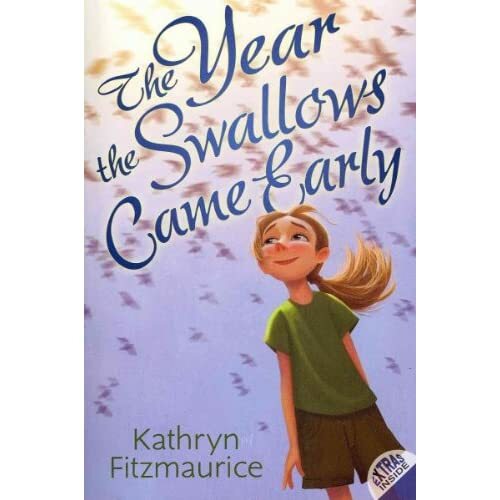 But....all of that is the story of The Year the Swallows Came Early, and of Kathryn's first book, and while it's a wonderful story, it's not really the one that belongs to today. I often tell people that Kathryn has a particular magic as a storyteller that is incredibly well-suited to her audience of middle grade readers. Remember that period of your life when the world first started opening up and you began to glimpse and understand and fully grasp the connections between yourself and the rest of the world in sometimes-electric, sometimes-heart-breaking, sometimes-wondrous ways? Those are the moments that Kathryn captures in her stories, and she makes them shine, building magic out of a collection of (at-first) seemingly unrelated, and sometimes-even-tragic, things. We all love to imagine the life of a writer, and so I often picture Kathryn walking beside the ocean in California with her dog Holly, thinking about all sorts of interesting things, and collecting and gently discarding ideas, much the same way one collects and discards shells and rocks and other bits of wonderment from a beach—until at last she has gathered up an assortment that she can see connections between in a way that no one else ever has—yet. And then she gets to work turning those connections into a story, one full of meaning and charm and life. What I am trying to say—much less perfectly than a masterful writer like she could, I'm sure!—is that my former boss used exactly the right word for Kathryn's writing all those years ago when we read her first manuscript. In a word, Kathryn's storytelling is special. And heartwarming. And magical. And lovely. And vivid. And memorable. And gentle. And oh-so-good-let's-read-it-again-shall-we? Happy publication day, dear Destiny, Rewritten and Kathryn Fitzmaurice! I'm so excited for readers to find and love this book. Ten years—a decade!—ago today, I started my first full-time job in publishing. A tremendous amount has changed since then, but the heart of this business endures steadily the same beneath it all, and for that I am truly grateful. I suspect that we all—editors, writers, illustrators, agents, marketers, publicists, educators, booksellers, librarians and so many others in this business—choose to do the work we do because we ourselves have lived lives shaped by stories. Because once upon a time, each one of us was a child mesmerized by picture books, or a kid magicked away on summer afternoons by wonder and possibility, or a teen who found solace or solidarity in fictional characters . . . so we know how much stories can and do and must continue to matter. 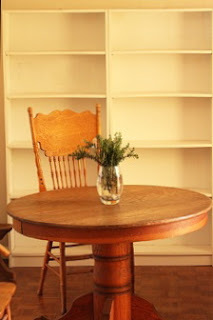 Some of the best friends and influences in my life have been books, or because of books. And for the past ten years, many of the most meaningful people in my daily world have been the people who make books. So thanks to all of you: you brilliant, insightful, dedicated, witty, wonderfully firey-minded people, for being an inspiration every single day. Here's to many more decades of creating and sharing stories, friends. 'Tis the season for cozy blankets, hot chocolate, and holiday comfort reads. Are there books that you re-read every year because it's part of your winter tradition? 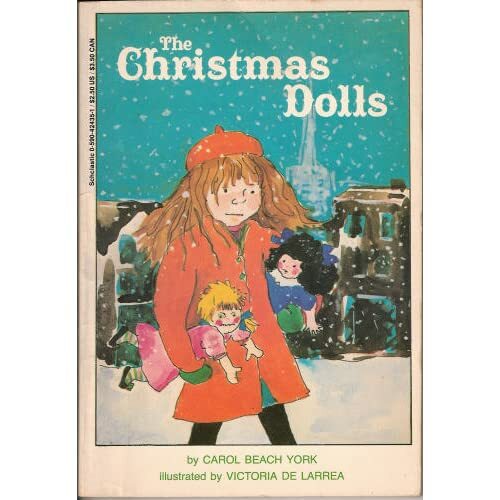 Fellow editor pal Martha and I talked about this a few years back , and she posted this and ever since then I've been accutely aware that there are certain books that just FEEL like Christmastime to me. This short story collection was on my family's bookshelves when I was a kid. 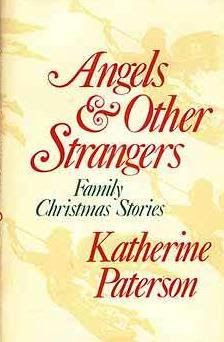 Each time I re-read it, I'm reminded all over again of Katherine Paterson's incredible power as a storyteller &observer of the world: novel or short-story, she delivers honest, timeless truths about how important hope is, &how much, as people, we need each other. The first line couldn't be more engaging, could it? "'Christmas won't be Christmas without any presents,' Jo grumbled, lying on the rug." It's Victorian-era Christmas warmth and miracles and hope and family love in all its glory! And finally, one of my own! 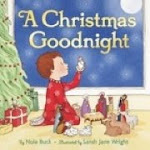 A Christmas Goodnight is a modern classic in my mind; the perfect hybrid between Goodnight Moon and the familiar Nativity story. My illustrator Sarah Jane Wright shows some of her wonderful interior artwork here (though her contest mentioned in that post is no longer live), and I talk about the process from the editorial side here. The thing I perhaps love most about this book is that ever since I first began working with this text over 5 years ago, it unconsciously runs through my mind over and over at Midnight Mass each year. I'm a biased editor and all, but if you're looking for a new Christmas picture book to add to your family's collection, it's pretty perfect for sharing, reading aloud, and for talking with kids about the connections between the long-ago Nativity story & their own lives. What are YOUR holiday/winter comfort reasons? Share them in the comments! At the SCBWI-Rocky Mountains Conference I spoke at a few weeks ago, organizer Todd Tuell posed a great dinnertime question that I've been chewing on ever since. After much internal conflict and mental re-shelving, I think mine would be Blueberries for Sal and Lizzie Bright and the Buckminster Boy. With a veryveryclose third being Charlotte's Web. Do you have a favorite quote about writing? Leave it in the comments! Over at Write On Con HQ today, I waxed lengthy and opinionated about the importance of craft in a writer's life. (It read something along the lines of the below, but with more words, and a particular focus on craft). You can read the whole post (and a lot of other great posts, too!) over there. But if you're here now, ready to turn abstract thoughts about craft into reality for your own writing, I thought a few practical craft-developing exercises might help. So, read on! Tweak, adapt, and adopt as you see fit for your own needs and own goals: And then write on! 1. Pick an ordinary object, or an ordinary view, or an everyday experience. Now describe it using five analogies or phrases that are entirely fresh, not clichés or familiar ideas. In other words, create an image that's entirely new, out of your words and perspective, and give it to one of your characters to speak. 2. Read a book that you admire aloud. Pay special attention to what’s NOT in the text as well as what is. Return to your own writing and see, as a result of your study, what you can remove and how the reader might actually benefit as a result—from a more compelling pace, from a more streamlined plot, from tighter writing, from more suspense. 3. Find a book that achieves some of the same things you’re trying to achieve in your own work. Take it apart. Dissect it. Turn it into a chapter-by-chapter outline, or even a scene-by-scene outline. Then study that outline to pieces, noting things like when subplots are introduced and woven in and resolved, and where the action rises and falls (and how often it does each), and the balance of dialogue and prose, and the sort of emotion each chapter opens and closes with, and where in the story's telling unexpected things happen and how that affects the overall pace, and the arc of each key character’s growth across the book. Don’t try to do all this in a day. Spend days on it, even weeks. Use it as a warm-up exercise before your day’s writing. Or stop writing for a little while, and devote yourself to this study intensely: whatever works for you. But eventually, go back to your own book, armed with new knowledge, with the ability to better master your own craft having studied another’s mastery. 4. 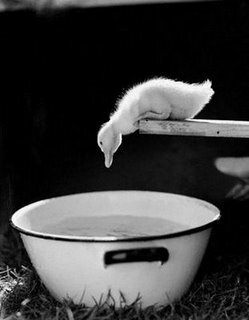 Try writing from a different point of view than you’ve ever tried before; a different voice than ever before; a character who on the surface shares nothing in common with you. What might that previously untried-voice or perspective make fresh in your writing, set free in your writing? What will you learn from your foreign-seeming character, as a writer, and as a person? 5. Share what you know: leave some of your own favorite craft-developing practices in the comments below so that others can try them, too! Children's & Young Adult book editor at HarperCollins Children's Books. Occasional travel writer. Collector of words & art & stories. Traveler, on land and by story. Fierce believer in the lasting connections between books & their readers; passionate advocate for stories & their creators. It's a ten block walk in either direction from my apartment to the subway. But somewhere in those ten blocks is where all my best thinking seems to happen--my thoughts gel, my ideas click...and voila, blog posts are born! --WriteOnCon 2012: "The Essential Invisible Thing"
--WriteOnCon 2010: "Give Yourself Permission"
by Kathryn Fitzmaurice. Available NOW! by Hilary T. Smith. Coming in May! by S. J. Kincaid. Coming in July! Books I've Edited, Available Now! By Veronica Roth. Available now! by Veronica Roth. Now available! by S. J. Kincaid. Now available! By Bobbie Pyron. Available now! by Nola Buck; illustrated by Sarah Jane Wright; Available now! Because, really, who doesn't love a random bandit chicken? It should be stated that all thoughts expressed on this blog are solely my own. They are not intended to be representative of, nor do they belong to, the company for which I work.